Google+ Reading Teen: ZEROES by Scott Westerfeld \\ Sadly, I Give This One a Zero . 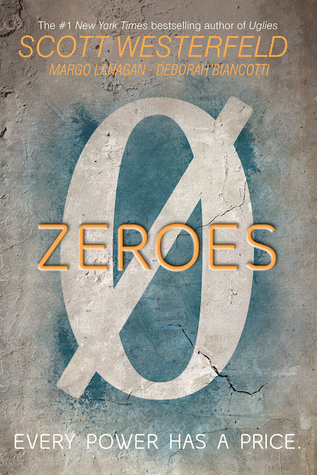 . .
ZEROES by Scott Westerfeld \\ Sadly, I Give This One a Zero . . . The idea of a superhero book totally grabbed me, and with a name like Scott Westerfeld co-authoring it, I had the expectation that it would be an exciting and action-packed read. That being said, I’ve never actually read one of Westerfeld (or any of the other co-authors books) before starting Zeroes. But unfortunately I could just not get into this book at all. Each of the “Zeroes,” as they refer to themselves, tell the story from their distinct point of view. But I think what really turned me off is that I didn’t like the characters. I made it almost halfway through this massive book, and I can’t say that I felt attached to, or the need to root for, any of the characters. There wasn’t anything that was keeping me reading. There was a lack of information regarding how the characters obtained their powers, which I think would have made for a cooler story that what I got through while reading Zeroes. The chapters are really short, which is how I think I made it through as much of the book as I did. But Zeroes by no means was what I was expecting or hoping for. To say I am disappointed is an understatement. I was really looking forward to the concept of the book backed by the credibility of having a huge author behind it. 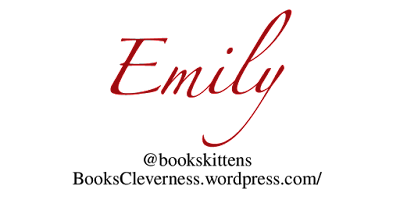 I picked up and put down Zeroes more times than I can count, or have done for any other book. Unfortunately in the end, I had to put it down due to my lack of interest.